Eve Sleep has already made a significant mark on the mattress market with the innovative flagship model, so it was always only a matter of time until they moved into other sleep products which led to the release of the Eve Original pillow. 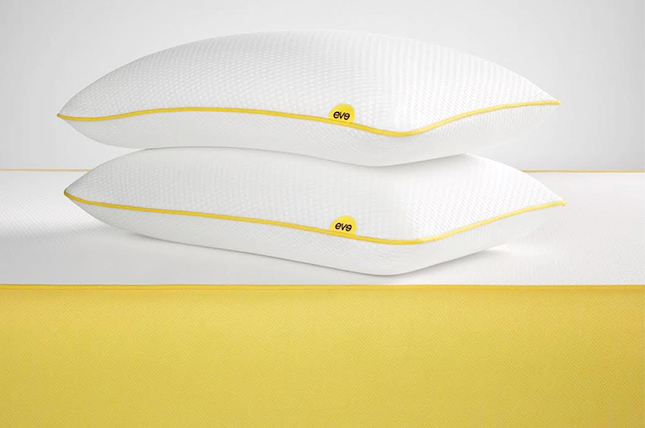 So we’ve reviewed the Eve Sleep Original Pillow so you can see if it’s the right option for you. The pillow’s core material is Viscoelastic, Next Generation Memory Foam which works to contour to the shape of your neck and shoulders while you sleep which increases the level of comfort that you experience. Memory foam is traditionally hot however Eve has used open cell technology which essentially means that they have drilled holes through the core to promote airflow in and out of the pillow so you'll stay cool in all seasons. This gives you the cold side of the pillow feeling on both sides. This not only keeps you cool but also keeps the pillow free of smell and odours. The pillow has been designed in the creative hub of London and manufactured within the UK. Similar to the mattress, the Eve Pillow is sent straight from the company which essentially removes the middle man which leads to the pillow costing significantly less than it would from high street stores. The pillow measures 42 x 66 cm and is 1.7 kg in weight and is delivered compressed and vacuum sealed in a box and you simply just removed it from the box and tear the vacuum wrap off, and it will then automatically inflate to its original size and shape. Eve has used a hypoallergenic material which is excellent if you historically suffer from allergic reactions as this will be free of allergens and also reduce the number of bacteria and germs that are present. Also, Eve even pre-treat the pillow with their unique UltraFresh treatment that helps it to fight off mildew, mould and bacteria. The cover is a two-way stretch 100% polyester cover that is breathable to allow better cool air to flow into the pillow and disperse warmer air. The cover is also removable and machine washable so you can regularly wash it to remove the build-up of germs and bacteria. The cover has also been approved as OEKO-TEX® Class 1, which is a necessary safety regulation. The cover can also be wiped clean with a dry cloth and doesn’t need the use of strong liquid cleaners. Similar to the Eve mattress, the Eve pillow has a firmness level that can be rated as medium firm. This level of firmness is chosen because the pillow contours to your sleeping position but also has responsiveness to give bounce and support ensuring that your upper back is aligned. This feel means that it is suitable for all types of sleeping positions including front, back and side, and help to remove any stiffness when you wake in the morning. The Eve pillow can adapt to any sleeping positions due to its contouring nature and the level of support it provides. Because of this, you aren’t restricted to specific sleeping positions to experience the benefits. 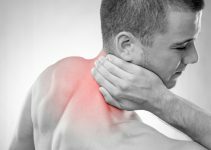 Memory foams main benefit is the contouring ability which relieves tension from your muscles especially in the neck and shoulders which allows you to sleep in a more relaxed stated, get to sleep quicker and improve blood circulation around your body. Memory foam is significantly more durable than traditional feather pillows that constantly need fluffing to retain their shape. When you’ve finished sleeping on a memory foam pillow, it will return to its original shape every time. The pillow cover gives you tremendous and effective protection against allergies while you sleep. Eve is that confident in their product that they have offered a 30-night sleep trial with each purchase so you can see if it's right for you. If you’re not happy with the sleeping experience you get, then you can return the pillow for a full refund. In addition to this, if you decide to keep the pillow past this period there is a three-year warranty also included so if the pillow fails within this period then Eve will replace it with a brand new pillow.